We'll show you all you need to know about how to cook cauliflower. 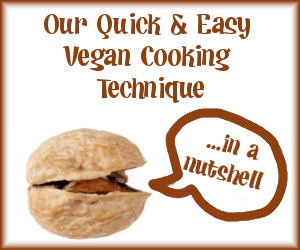 Learn how to shop for and prep your veggie, cooking techniques, and flavoring ideas too! Welcome to our tutorial on cauliflower. Cauliflower has a unique flavor that is very comforting, and it is really easy to cook up. You can even eat it raw. 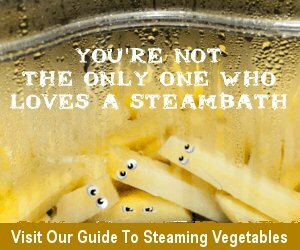 Below you'll find lots of advice for how to make this veggie in the most delectable way. Why? Because the cooking techniques and flavorings are chosen by you -- simply match the flavors with your unique taste buds and with what you have in your cupboard. Simply see if you can find cauliflower that has many crisp leaves covering up the veggie -- the leaves offer better protection and it will be fresher. 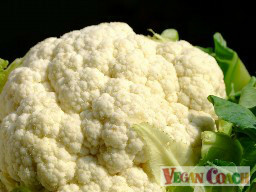 Look for cauliflower that is white or creamy, and which feels heavy and firm. Avoid those that have dark spots or look dull and sad. And if you see any flowers growing out of them? Next! Be on the lookout for purple and green cauliflower too as these are delicious and fun varieties to play with. Fill a bowl (or a Salad Spinner) with clean, filtered water. 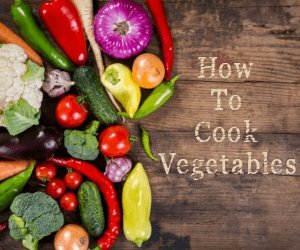 Add 2-3 Tablespoons of lemon juice, or any other edible acid, such as vinegar which will help to clean your veggie more thoroughly (p.s. don't skip this step -- it's very important). Remove outer leaves and discard, if not using. Using a knife, carefully cut florets from the hard, woody stem and soak in prepared water. Allow to soak for 10 minutes or so. Rinse. Your veggie is now ready to be used in your unique and totally personalized cauliflower recipe. Here are the cooking techniques we use and recommend for cauliflower. Create your very own cauliflower recipe with some of your favorite ingredients from this list of foods that match perfectly. Cauliflower is available year-round, but is best when it's in season: December-March. Store cauliflower unwashed in the fridge, protected by a plastic bag or Tupperware-like container (as with all veggies!). Store stem side down to avoid moisture pooling up in the actual veggie. Eat within 2-3 days. Although it's not as common to eat them, the leaves are edible. Be wary of cooking your cauliflower in an aluminum or iron pot. It just so happens that the chemical compounds in cauliflower can react with the aluminum and turn the vegetable yellow! And an iron pot can turn it to a brown or blue-green color. Ack! Cauliflower can be blanched first, and then frozen. It will keep in the freezer for up to a year (be sure to date it!). 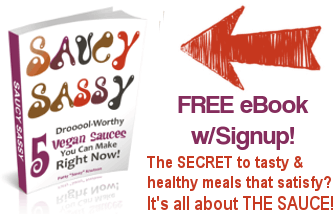 To blanch: Boil a pot of water -- approximately one gallon of water per pound of veggie. Bring the water to boil and lower cauliflower into the water (a wire basket works perfectly). When the water begins to boil again, cover the pot and set the timer for 2-5 minutes, depending on how large or small the pieces of cauliflower are. 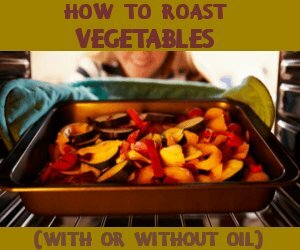 Your goal is simply to destroy the enzymes and bacteria (that are inherent in fresh vegetables) which can break the veggie down and destroy the flavor. Your goal is NOT to soften the cauliflower as you would if cooking to eat.